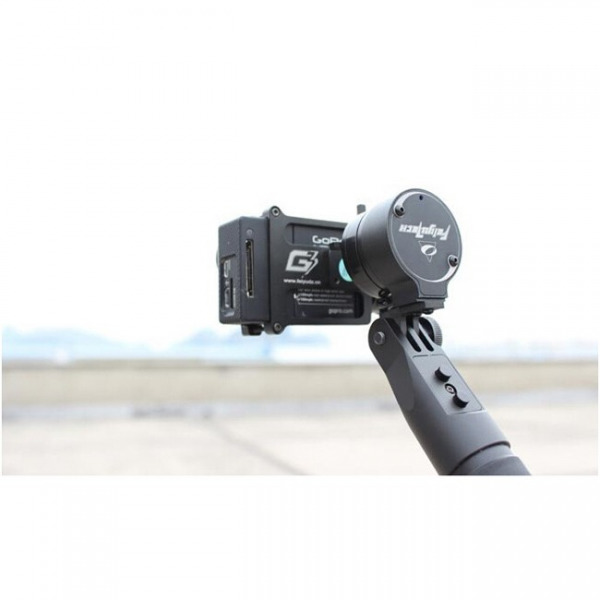 G3 Steadycam two axis handheld gimbal allows you to use your little GOPRO easy to shoot the videos and photos as smoothly as movies, let you share your life with your relatives and friends in anytime and anywhere. You will always be the focus of the life no matter when and where you are, let the multi-angle, smooth and clear records to become the eternal memory. G3 Steadycam two axis handheld gimbal allows you to use your little GOPRO easy to shoot the videos and photos as smoothly as movies, let you share your life with your relatives and friends in anytime and anywhere. You will always be the focus of the life no matter when and where you are, let the multi-angle, smooth and clear records to become the eternal memory.All of this will easy to realize in your hands. Soon it will become your travel must-have items. Steadycam, by Steady+ cam (the first three letters of “camera”) make up, G3 Steadycam handheld gimbal is light weight, easy to carry, simple to use, power-and-go,also has electronic slow to follow mode which a mechanical stabilizer cannot do that, and it can steady the up and down before and after. 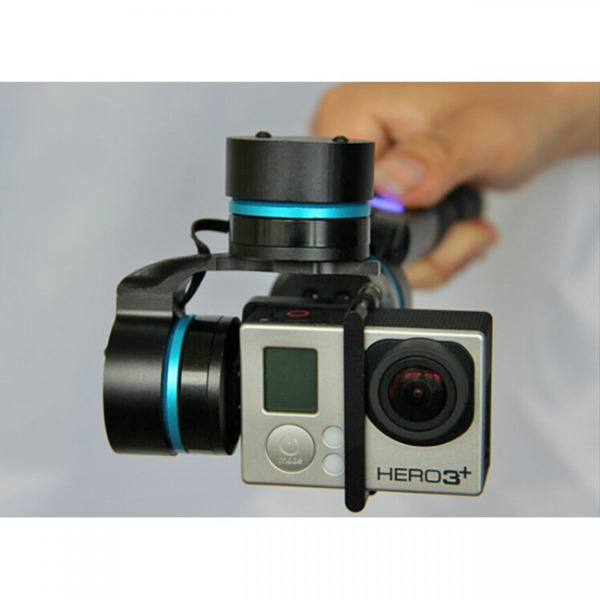 Compatible use with GOPRO3 , GOPRO3+. Convenient and practical power switch design, integration lightweight design and delicate appearance. 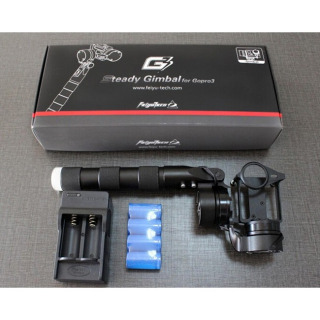 It can help you easily to achieve the shooting of fast moving, chasing, steering, and low angle. It equipped with four batteries and one battery charge. Each battery type is 16340, and capacity is 1800mAh. You just need to use three batteries and one can be used as backup. The use time is over 2 hours. 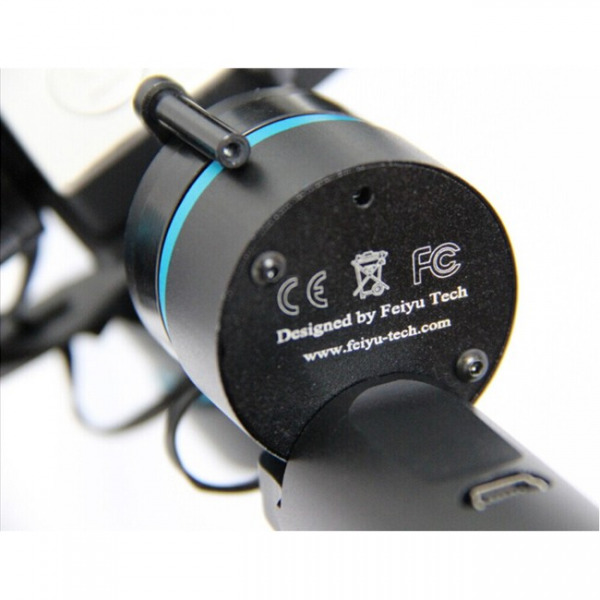 Feiyu tech kindly remind you: You should first amount the GOPRO to gimbal, then put on the batteries and power on. Otherwise it will cause the phenomena of gimbal disorderly shaking.